The Beaver Crew is a group of people to that are more involved in the upkeep and appearance of your camp, dates have been set aside for anyone who would like to share in the work at Camp Rock Enon to participate in work projects. This is not limited to Scouts and Scouters, but anyone wishing to help is welcome. Wouldn't it be wonderful to see families and friends working side-by-side on projects! Work will start at 9:00a.m. and continue as long as you wish to work. A light lunch will be provided by the camp and overnight camping is available for workers. Conservation of Natural Resources has been an integral part of the Boy Scout movement since its inception. However, conservation does not mean "leave alone". The forests, wildlife, and waters of Camp Rock Enon are dynamic natural ecosystems that can be nurtured by applying scientifically based management practices to maintain and increase their health and benefits. The conservation plan, updated every 5 years, and the list of needed conservation projects reflects this stewardship philosophy. Adopt A Site at Camp Rock Enon is designed to ensure a well maintained camp to provide an enriching and safe environment for our Scouts. Adopt A Site at Camp Rock Enon pertains not only to a specific campsite, but to the whole camp. All buildings, sites, ranges, parade fields, sports fields, campfire circle, chapel hill, parking lot, etc. needs your help and care. Units can go together to adopt an area or they can choose separately. 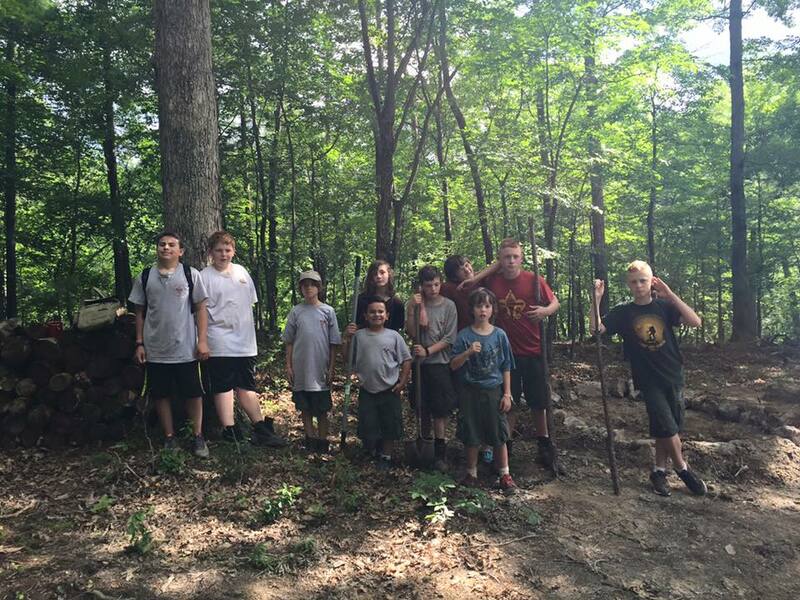 The camp ranger has a list of many projects which need to be completed to ensure that Camp Rock Enon is truly a “Scouter’s Paradise” and to make the camp ready for the upcoming camp seasons. Some projects require no specialized skills or tools, while others can only be properly completed by skilled artisans with specialized tools and materials. The projects also vary in the number of participants and man hours needed for completion. If you would like to work on a service project for Camp Rock Enon, whether as part of a weekend camping trip or just by coming to camp for the day, please contact the camp ranger at bjoyce111@aol.com and ask for a project. If you have a suggestion for a project that is not already on the list, please mention it at that time. Many supplies needed for these projects may not normally be available at the camp, so plans for service projects must be discussed with the camp ranger and approved at least two weeks in advance to obtain purchase orders to ensure availability of materials. Of course, any donations of materials by individuals and units toward these projects will be gratefully appreciated.